By Dr. Walter C. Kaiser Jr.
No one could have predicted the nationwide impact that event would have. 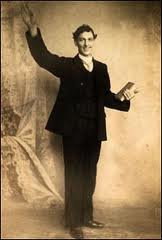 J. Edwin Orr related that “within three months a hundred thousand converts had been added to the churches of Wales. Five years later a book debunking the revival was published and the main point made by the scholarly author was that of the 100,000 added to the churches, only 80,000 remained after five years (DPC – I’ll take that kind of conversion growth any day! – see J. Edwin Orr, Campus Aflame, Glendale, Calif.: Regal, 1971, 101). That same revival jumped the ocean and spread to America’s shores and was the last major revival we have seen since 1905. *Walter C. Kaiser Jr. (PhD, Brandeis University) is the distinguished professor emeritus of Old Testament and president emeritus of Gordon-Conwell Theological Seminary in South Hamilton, Massachusetts. Dr. Kaiser has written over 40 books, including Toward an Exegetical Theology: Biblical Exegesis for Preaching and Teaching; A History of Israel; The Messiah in the Old Testament; Recovering the Unity of the Bible; The Promise-Plan of God; Preaching and Teaching The Last Things; and coauthored (with Moises Silva) An Introduction to Biblical Hermeneutics. Dr. Kaiser and his wife, Marge, currently reside at Kerith Farm in Cedar Grove, Wisconsin. 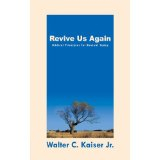 Dr. Kaiser’s website is www.walterckaiserjr.com. This article is adapted from the Preface in his outstanding book Revive Us Again, Nashville, B&H, 1999. Tags: 4 Point Sermon, Evan Roberts, J. Edwin Orr, Revival, The Last Widespread Revival in America, Walter C. Kaiser Jr.
By my research I found Evan’s third point to be “Obey the Holy Spirit promptly,” rather than “obey the Holy Scriptures promptly.” The two are in no way opposed, of course, but I’m wondering if the third point is a typo. Simply pointing it out for historical accuracy’s sake. I enjoy the tweets on the sidebar. Thanks Myron – You were right – it was a typo – but nevertheless – accuracy is always the best policy!